Easy Care:SolCool is light, yet can be washed and dried in regular cycle. 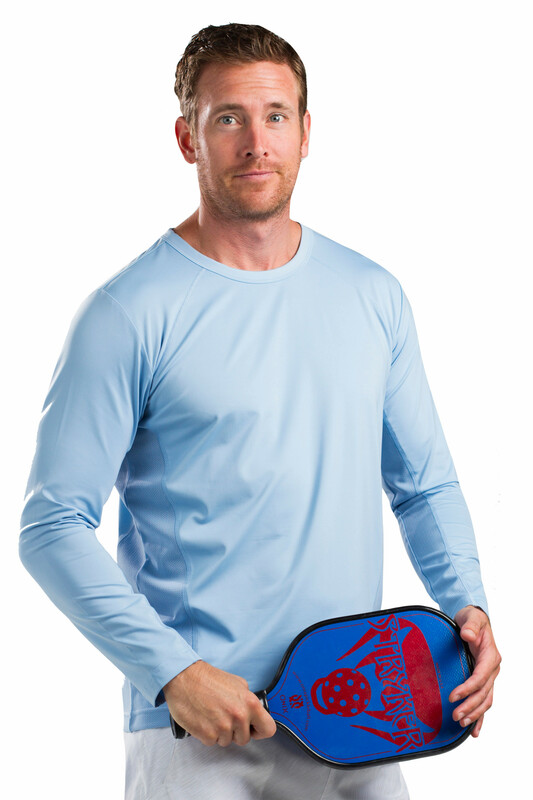 UPF 50 Long Sleeve Crew Neck. Perfect for Tennis, Pickleball or Outdoor Sports that require the perfect combination of Sun Protection and Cooling. 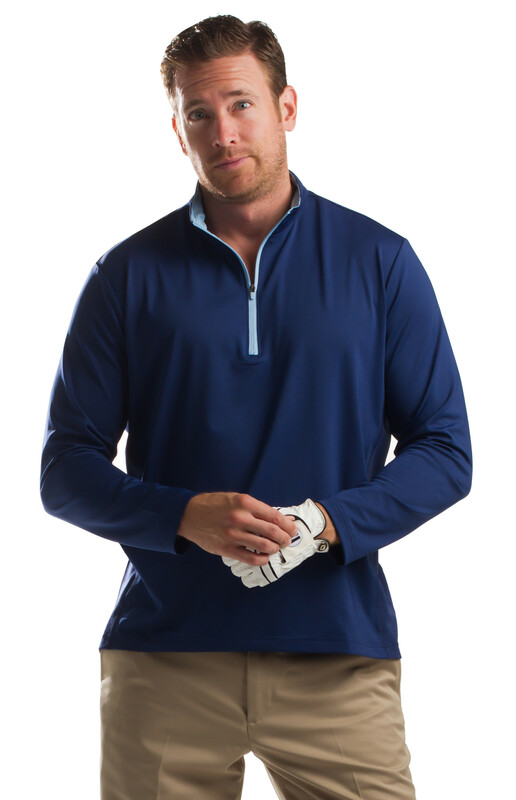 Our SolCool fabric is extraordinarily light, wicks moisture, is easy care and offers permanent UPF 50 Sun Protection. Notice the high neck stand. Perfect protection from the sun's radiation. CHEST S 38" M 40" L 42" XL 44" XXL 46"
Perfect for sun sensitive skin and look good too. SanSoleil SolCool Fabric features quick dry, quick cool, easy care and UPF 50 protection. 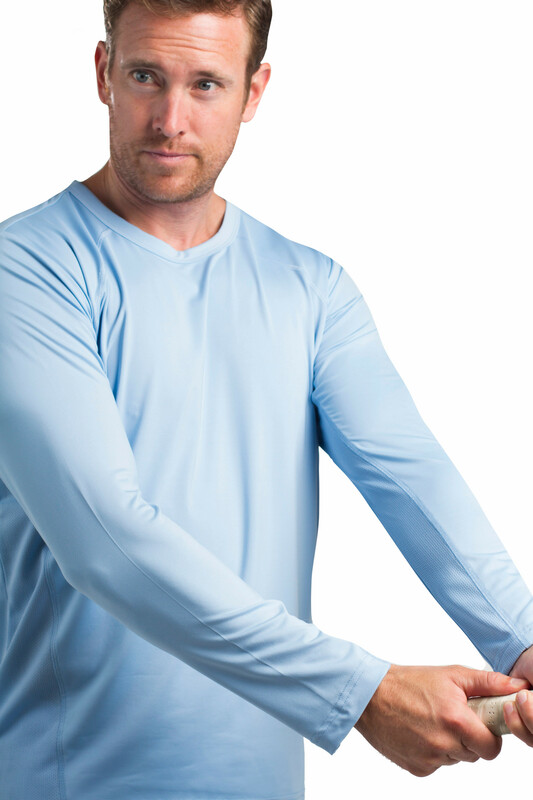 Fabric is infused 12% Spandex for Athletic Stretch.